Well, Rod Stewart has done it again. 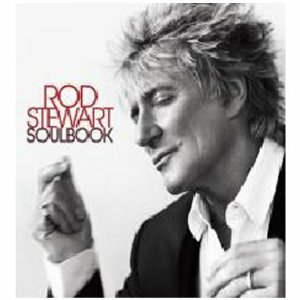 As he did with his “songbook” series and, again, with his last disc, “Still The Same, Great Rock Classics of Our Time”, Rod has tackled the some of the greatest soul songs ever recorded. Whether singing solo or duets with an the likes of Jennifer Hudson (“Let It Be Me”), Mary J. Blige (“You Make Me Feel Brand New”), or Smokey Robinson (“Track of My Tears”) Stewart’s distinctive vocal touch casts these classics in a whole new interpretive light. I could go on and on about this disc but, for the sake of brevity, I’ll focus on a couple of my favorites. My absolute favorite cut off this album is “Rainy Night In Georgia”. While I still contend that it’s virtually impossible to top Ray Charles on this song, I must say that, if it were to happen, Rod Stewart ranks at the top of my very short list of contenders. That said, wouldn’t it have been absolutely the ultimate duet to hear Ray and Rod do this song together. I shudder at the very thought of it. Maybe they can do one of those Nat/Natalie or Elvis/Lisa Marie thingy’s? I’m just saying. Are you listening, Sony? Coming in at a very close second on my list of favorites (assuming I must pick a favorite), is “Just My Imagination”. Stewart’s roughly silky voice gives a whole new view of this song. I half-expected Rod to segue into “My Girl” as he was singing this great tune. Stewart does an uber-cool version of “It’s The Same Old Song” that is so good that I actually visualize him singing this on an old black and white TV broadcast with the Four Tops backing him up vocally and choreographically. I’d be a complete idiot if I didn’t mention Rod’s interpretation of the iconic Motown hit from 1969, “My Cherie Amour” with none other than Stevie Wonder backing him up on the harmonica. I’m surprised Stewart was able to record the tune because I would’ve just stood there and stared at Stevie . . . probably with drool running down my chin. But record he did and what a great version of that song. I don’t want to ruin the surprise of this disc. It’s sure to be yet another multi-million selling accomplishment for Rod Stewart. However, if you love the great Motown classics as well as love Rod Stewart, you WILL NOT be one bit disappointed in picking up this album. It’s one for the repeat mode on your iPod.